Premium fabric cover with foil-stamped title, "Here Begins The Story of You"
Holds 47 Everyday Prints; recommended sizes include 3.25 x 3.25", 3.25 x 4.25", and 4.25 x 3.25"
An interactive photo journal for baby's first year and beyond, The Story of You encourages parents to create new and meaningful habits as they document their child’s life. Register your book for photo tips, ideas for making the most of your book, and a complimentary set of Everyday Prints to get you started. Each book purchase includes our recommended pen, as well as adhesive for securing your prints. A print for every experience. 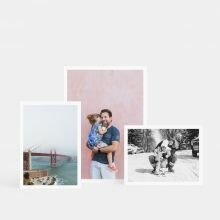 Available in a wide array of sizes, this set of 10, 25, or 50 textured, matte prints offer a high-quality look and feel that was made to honor the everyday. 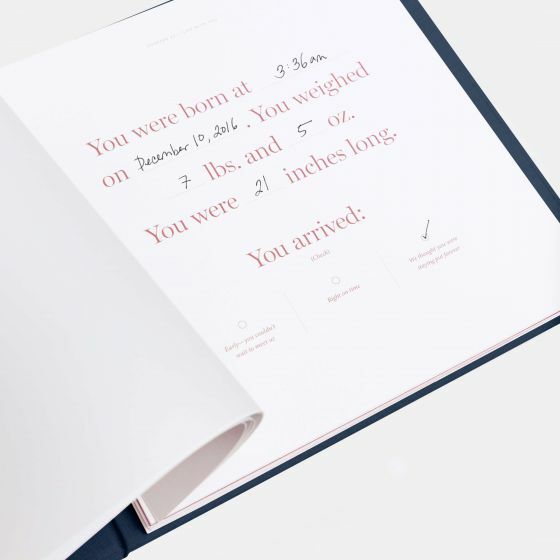 We set out to create a modern baby book designed with busy parents in mind. Knowing timelines and little ones don't always mix, we've replaced typical milestones with a focus on the everyday moments that matter most. 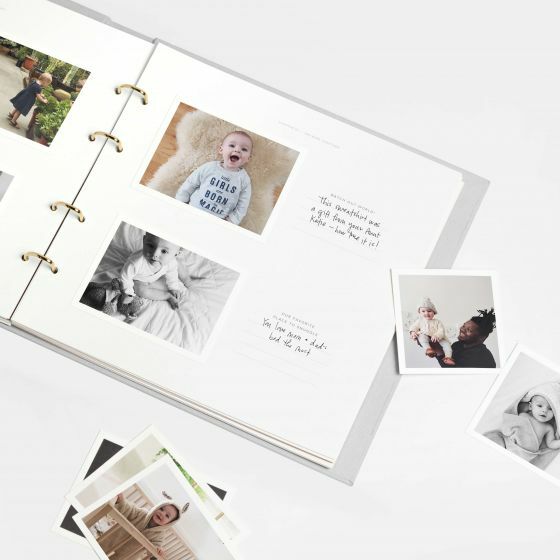 Our modern take on the classic baby book, The Story of You serves as a place for parents to document their child's life, keeping words and photos all in one place for generations to come. We know parents are busy – really busy – and our hope is that this book serves as a simple, effective way to make permanence of the moments that matter most. With a focus on the everyday moments rather than typical milestones, parents won’t feel obligated to record daily or remember specific dates and times – just the moments that are meaningful to them and their family. 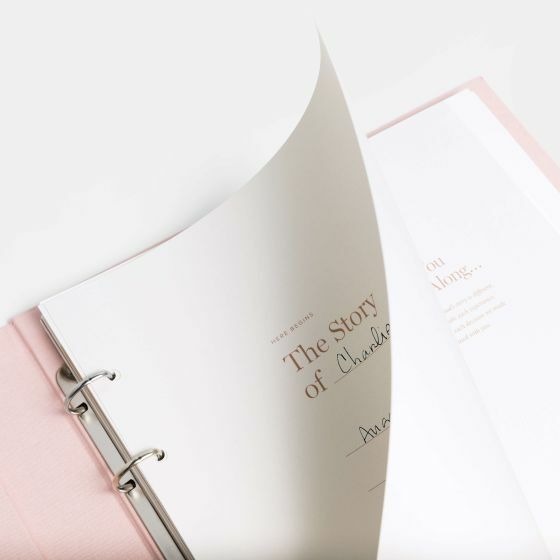 Offering a premium, fabric bound cover, parents have the option of choosing from 4 unique colors: Orchidee or Pacific Blue with copper foil, or Smoke or Olive with gold foil. With a variety color options, this book is an ideal baby book for boys and girls. 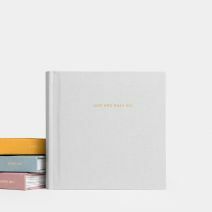 Each book is 11.5 x 10.25" and includes 100 pages. 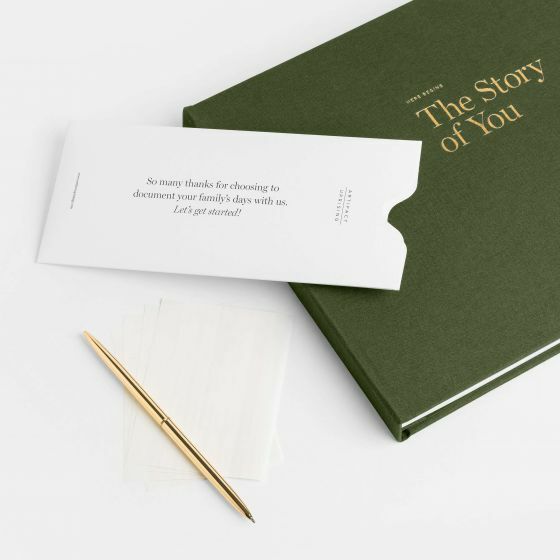 Each book is foil stamped on the cover and spine with the title, "Here Begins The Story of You". 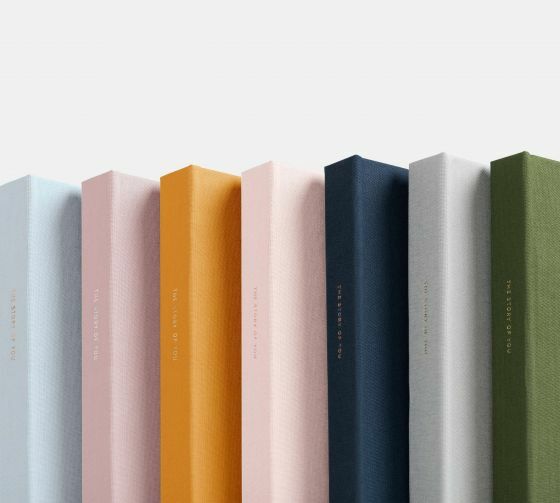 Inside each book, you’ll find premium quality papers and a four-ring, binder style binding. This style of binding makes it simple to remove or rearrange pages as needed. Customize the pages of your book with words and Everyday Prints – we recommend sizes 3.25 x 3.25", 3.25 x 4.25" and 4.25 x 3.25". Included in your baby book purchase is our recommended pen and adhesive, ideal for keeping your baby album in it’s best shape. 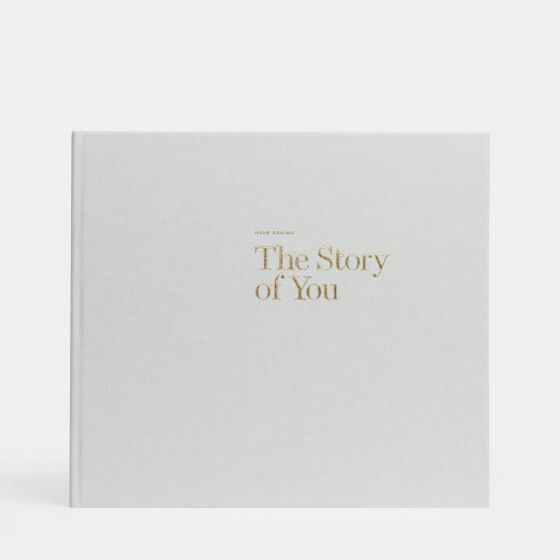 Upon receiving The Story of You, you can register your book with us to receive photo tips, ideas for making the most of your book, and a complimentary set of Everyday Prints to get you started. Best yet? Create your prints seamlessly from your iPhone using the Artifact Uprising iOS app. 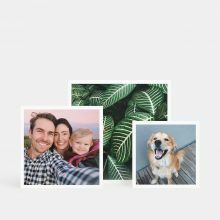 Connect directly to your Instagram or camera roll to create prints in minutes.